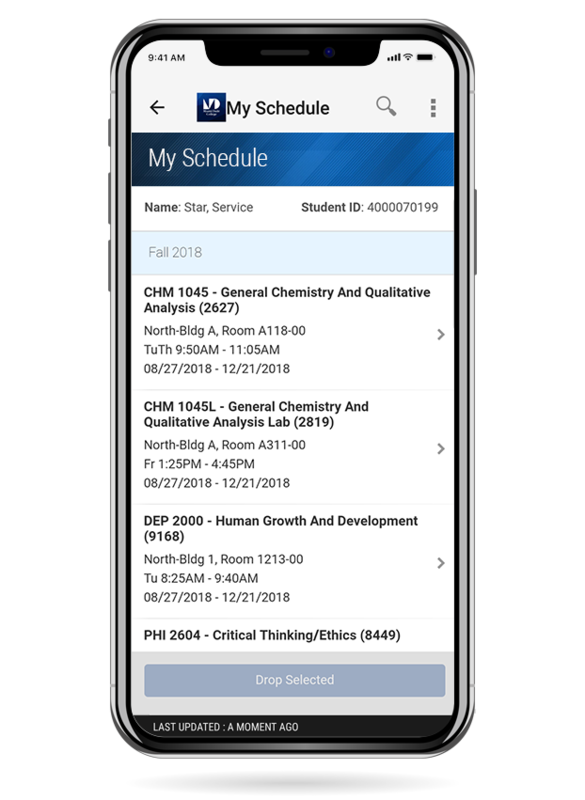 Get the information you need when you need it with quick access to time-saving features and resources. 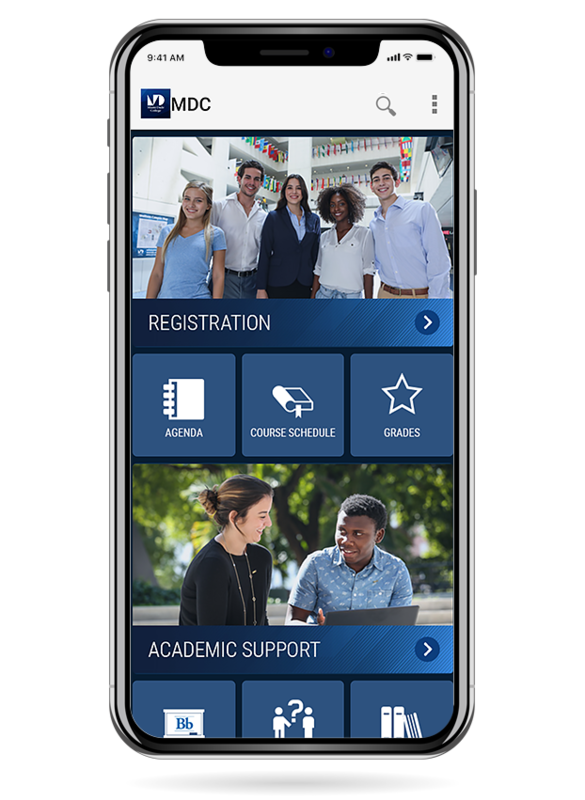 Improve your college experience by managing it from the palm of your hand. 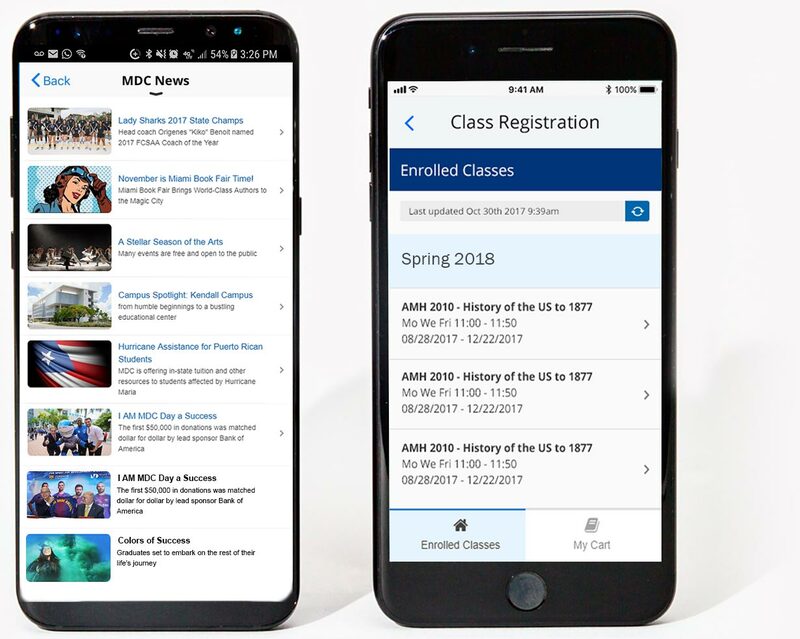 My MDC helps you get quick access to a number of helpful features and resources. Plan your classes, view campus maps, check your financial aid and stay updated with important and timely information. 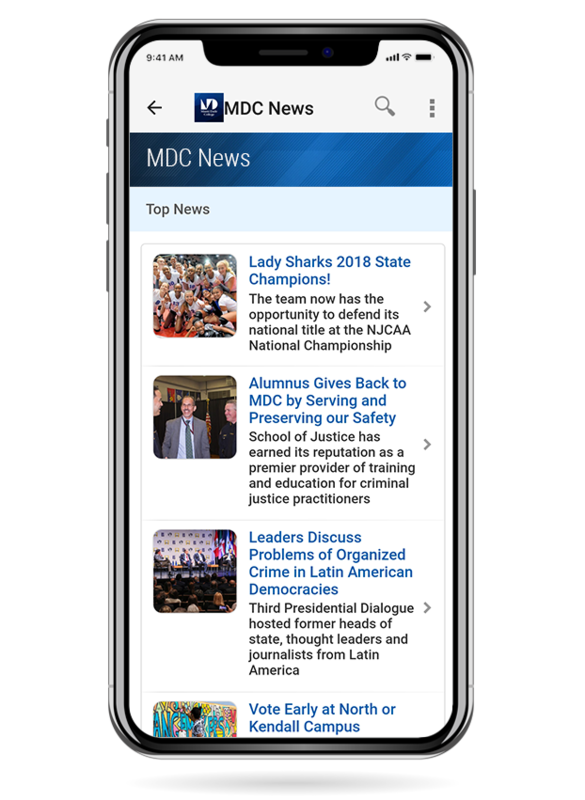 Download My MDC and take the College with you wherever you go.